You might think that Yoga is another fad but actually, it’s been around for thousands of years. It’s a really old system of physical and mental practices that originated in India. It incorporates meditation, mysticism, philosophy, lifestyle, breath work, essential behavior principles, and ultimately, physical exercise. Over the years, yoga has evolved into many different complexities and disciplines. However, the intent and purpose remain the same – to achieve a state of balance in body, mind, and spirit. The history of yoga involves a lot of complex traditions, teachers, and texts. In many cases, these contradict and complement each other. There’s just no single standard practice and/or tradition to follow. The yoga being practiced today has evolved from many creative contributions, merging of traditions, and complex variations from many disciplines. This is a result of thousands of years of evolution. Today, let’s go through the varied and colorful history of yoga. This will help us understand the beauty and exquisiteness of the yoga we practice today. You’ll be surprised at how far-reaching and encompassing yoga is. The traditions and principles in Jainism, Hinduism, and Buddhism to the flamboyant traditions of Indian cultures, let’s look at how all of these helped produce the many different practices of yoga in the modern years. Many experts believe, including yogis and archaeologists, that the principles of ancient yoga trace back to the Stone Age and shamanism. Although this is not entirely accurate as the Stone Age civilizations don’t predate written history, there’s a strong foundation behind the theory from where further and succeeding conclusions can be derived from. The Vedas of 1500 BCE as well as the Upanishads of 500 BCE, which are the early Sanskrit texts, considered to be the Indian spiritual language, explore yoga as a door to enter the Divine at the same time a path to connect the spiritual and earthly forms. These texts comprised of beautifully versed poems and songs, tell fantastic stories of the Hindu gods that also make references to yoga techniques in defined rituals. This is commonplace content of the Vedas. The Upanishads, on the other hand, revolves around the focus on philosophy and basically contains the first use of the term “yoga”. Which means, in its direct reference, a strong and firm holding back of one’s senses in order to join with one’s supreme state of being. The beautiful texts in both the Vedas and the Upanishads explore vehemently the foundational principles of yoga. The intertwining message between colorful stories of gods, humans, and nature create a spellbinding framework of the purpose, methods, and benefits of yoga. There are many different principles that promote and touch on the essentials of yoga. However, you will have to understand that neither in the Vedas and Upanishads is physical practice mentioned. Everything in the texts colorfully highlights and elaborates worship and philosophy. These are the key tenets of what makes up yoga and its practice. Concluding that the physical practice traces its roots to the ancient Sanskrit texts is misleading. It has to be emphasized that the ulterior principle lies within the boundaries of philosophy, meditation, and worship. Now, by 200 BCE, the Bhagavad Gita was born on the heels of the Upanishads. This gave birth to the Hindu’s moral dilemma story. This became a springboard and the underscore to the criticality of mediation to win the battle against suffering. Overcoming suffering is the key message of the Bhagavad and meditation is its rightful answer. 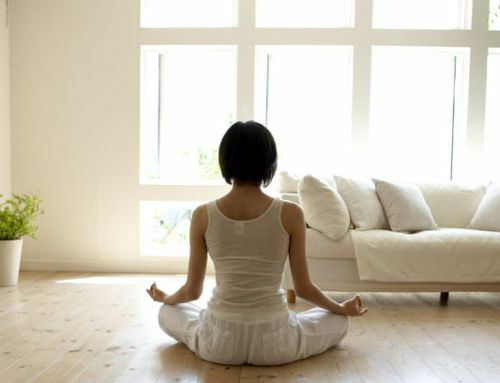 The highlight of the importance of meditation cemented that requirement for yoga. A well-known sage in 150 BCE known as Patanjali was able to write and publish the iconic Yoga Sutras. These texts are composed of vital aphorisms and axioms that explicitly guide the habits and lifestyle of those who want to seek wisdom through the practice of yoga. The sutras then became a primordial description that illustrates liberation and personal power available through the practice of yoga. This includes learned rules around worship, prayer, breathing, thoughts, meditation, eating, and even sexual relations. The inclusion of the practical activities in life translated yoga into a more relatable and necessary part of everyday living. The day to day struggles, confusion, limitation, stress, and dilemma that humans go through call for a need to step back and recollect oneself to better manage these struggles. Without a strict guide or a strong principle on how to overcome these things, the struggles translate to suffering, which makes life a living hell. Integrating strong foundations on how one should worship, pray, breathe, think, meditate, eat, and make love, at the same time espousing the esoteric, created the obvious roots of the yoga practice of the early times, which can also be seen and observed today. Patanjali has elaborated the Eight Limbs of Yoga in his Yoga Sutras. This is sometimes called the Ashtanga, meaning eight-limbed yoga. The eight limbs are basically the outward actions, inward restraints, breath control, physical postures, withdrawal of the senses, meditation, concentration, and the oneness with all or everything in nature. It is completely similar to the Upanishads in the fact that Patanjali defined yoga in his sutras as restraining of the modifications of the mind. However, you should not confuse the Ashtanga Vinyasa Yoga that is being followed and practiced all over the world today. It is entirely different from the original description of Patanjali’s Ashtanga. Essentially, the asana (AH-su-nuh) or the third limb, which refers to the physical postures, is the most practiced and the most familiar by most of the yoga practitioners today. While there may be a brief reference to asana (in Sanskrit it means “seat”) or a seated meditation posture, there has been no reference and/or mention of the physical yoga practice in Patanjali’s Yoga Sutras. It is totally absent in those ancient texts. The closest relatable mention of asana that appears in the texts is in the instruction of “Sthira Sukham Asanam” translated literally meaning that the yoga pose must be comfortable and steady. Other than that, there’s no explicit description and/or mention of the physical practice of yoga. Over the years, there have been many texts and manuals that came out. One of these was the Hatha Yoga Pradipika, which was a 14th-century yoga manual. On the other hand, the 17th century produced the Gheranda Samhita as another sacred documentation about yoga. However, these subsequent yoga manuals remain consistent to the earlier texts and made no elaborate discussion around asana and/or direct reference to the physical poses, that includes Sun Salutations or standing poses. These are familiar terms in yoga practice because these are considered to be the foundation of what our contemporary yoga systems are based on. However, the beauty in these texts remains to be the consistent highlights on subtle body energies, known as Kundalini and chakras, and the focus on meditation. The city of Mysore in the early 1800s became India’s spiritual and cultural center. It had achieved great successes in the establishment of culture and focus on spirituality. The royal family of the city was strong advocates of yoga in all its forms, including the hatha. They have enthusiastically supported the practice. Their major contribution was manifested in a compiled set of texts that are called Sritattvanidhi (shree-tot-van-EE-dee), which is a careful and amazing discourse on music, games, Hindu deities, meditation, natural history, and more importantly, yoga. This was made possible by the royal prince who was a devoted patron of culture and the arts. The resulting texts because a solid manuscript that flamboyantly featured illustrations and instructions for 122 yoga poses. Thus, the Sritattvanidhi is by far the most comprehensive manuscript that details asanas in its time. It is also the earliest text reference that explains and illustrates in detail the focus on the practice of asana. It can be considered as the world’s first yoga workout book or manual. Tirumali Krishnamacharya was born in 1888. He spent his early childhood years voraciously studying many forms of yoga, including the much-celebrated physical asana practice. He was eventually hired by the Maharaja of Mysore, who is the direct descendant of the very same royal family who revolutionized the Sritattvanidhi in the early 1800s. The Maharaja hired Krishnamacharya in 1924 in order to open the very first school of yoga and with the pure intention of teaching the royal family. A lot of the Tirumali Krishnamacharya’s pupils were young boys. Through these pupils, Krishnamacharya developed a really vigorous style of yoga that aimed to extremely build stamina and strength. It transformed into a ‘workout’ that is more obvious and visible in today’s practices of the Ashtanga, or the Vinyasa, Yoga. The seemingly difficult poses and challenging methods of the practice were elaborately integrated into beautiful principles of ancient yoga teaching of meditation, philosophy, worship, and nature. By the later part of the 20th century, two of the master yoga teacher Krishnamacharya’s pupils, namely B.K.S. Iyengar and K. Pattabhi Jois, both evolved and developed the Ashtanga and Iyengar. They have revolutionized its popularity and reach to make it two of the most popular and well-known system of the modern yoga that we have today. While yoga practice had become overwhelmingly popular in India over years of evolution and continued passionate teachings, a revival of Hinduism was also gaining steam in modern India. One of the major force in that revival, Swami Vivekananda, made history in 1893 when he introduced yoga’s philosophical aspect in front of many Americans when he spoke at the Parliament of Religions during the World’s Fair in Chicago that year. It was the start of yoga’s official journey to America and the onset of its future popularity. Subsequently, the Self-Realization Fellowship was established in Los Angeles in 1920 by that year’s most influential yoga guru, Paramahansa Yogananda. 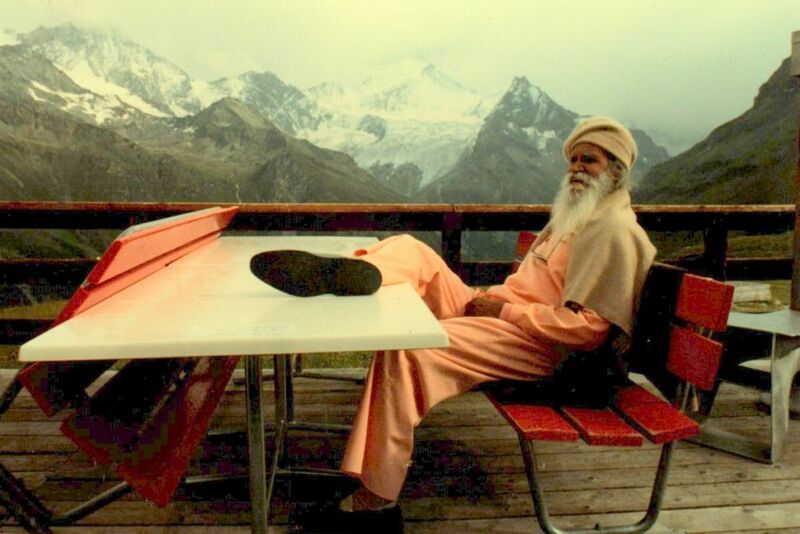 The pure intent and goal of his organization were to cascade the meditation techniques of the Kriya yoga and echo the message across America. He published his bestselling book in 1946, Autobiography of a Yogi, which then became the basis of western yoga practice. His book continued to become a strong influence on Americans who are looking for knowledge around Eastern spirituality and yoga philosophy. America in the early 1900s became a center point for the fitness craze with bodybuilding and fitness becoming popular across the country. There were many practices and methods that came into the country, such as the British gymnastics, bodybuilding, martial arts, and so forth. Consequently, the popularity of the British gymnastics had spread to the city of Mysore, which then influenced yoga practices that were developed and taught by Krishnamacharya’s school. Because of this and the increasing popularity of physical exercise, modern hatha yoga has rapidly risen in America. This was reinforced by many teachers who focused and advocated the asana side of yoga on top of the philosophy and meditation. This practice was brought to America in the 1950s by one of Krishnamacharya’s early disciple, and who is considered to be the “First Lady of Yoga”, the Russian-born Indra Devi. Starting yoga schools in Hollywood began adopting Devi’s hatha yoga and the emphasis on the practice of asana. Hollywood stars’ Greta Garbo and Gloria Swanson became Devi’s students. They helped cemented the popularity of the physical practice of yoga from thereon. In addition, Devi wrote several books popularizing the practice of asana. The 1960s saw a revolution of self-searching and exploration brought about by the political and social climate around the world. The Flower Power phenomenon started and at its height. It produced a lot of children who sought ways to achieve a higher consciousness. They began to turn to Eastern mysticism and yoga. This laid the groundworks for the growth of yoga in the United States. The 60s’ Summer of Love was the springboard of this growth and it helped pushed the popularity of yoga further. Meanwhile, at the height of The Beatles’ popularity during their Beatlemania days, the fab four and the world’s most popular band, took a trip down to India and affiliated with the Maharishi Mahesh Yogi as well as Transcendental Meditation. The trip became an inspiration to a lot of Americans to jump on to the meditation habit bandwagon. The Beatles incorporated this affiliation into their songs and helped spread the message of meditation across the world. On the other hand, a lot of spiritual communities and ashrams started to pop up in many different places across the United States and drove the popularity of meditation across the country. As a result, a special interest around the therapeutic and medicinal value of yoga began. Several universities in America initiated the research to dig deeper into these values. The famous yoga teacher Swami Satchidananda kicked off the most important musical event of the Flower Power phenomenon, the Woodstock festival in 1969, with a very powerful message to the more than 500,000 crowds. His words became an iconic and convincing call to action to the crowd to be free and allow all arts and actions to express yoga. The reverberating success of his message manifested not only by those who were in the event but also those who saw, heard and read about the teacher’s message. The Flower generation played a significant role in the continued popularity of yoga, especially the physical practice side of it, in America and across the world. It had gone beyond fad and established itself as a legitimate fitness and wellness activity. Hippies of the 60s integrated yoga into their daily lives and yoga schools continued to produce advocates who spread yoga in various communities and industries across America. The fitness boom continued in the 1970s with an unrelenting craze over the physical side of yoga as well as other fitness practices, such as aerobics, bodybuilding, dance sport, martial arts, and so forth. The physical practice of yoga continued to evolve and thanks to the influential yoga teachers, Yogi Bhajan, Bikram Choudhury, and B.K.S. Iyengar, who arrived in America in the 70s, new distinct styles of the physical practice of yoga were introduced. The seminal book, Light on Yoga, written by Ivengar became a bible that contained 200 yoga poses plus 600 photos. Moreover, the adverse result of the “no pain, no gain” slogan from other fitness schools gave rise to many people switching to yoga as a better choice to avoid fitness-related injuries. Yoga became the face of a healthier, low-impact and more viable way of staying healthy and fit. Hollywood stars, Raquel Welch and Jane Fonda, produced yoga videos that hit the market and helped expand the influence and reach of yoga classes to many health clubs, gyms, YMCA and other recreation centers across the United States. Today, there are over 16 million yoga practitioners across America alone. The yoga industry has become a billion-dollar market, having an estimated worth of $5.7 billion annually as reported in the year 2008. Its jump in value was considered monumental as it posted an 87% increase from 2004. In the United States and Canada alone, there are more than 70,000 yoga teachers and over hundreds of thousands in the rest of the world. Yoga continues to draw people and it continues to make history. It is a great activity for achieving a state of relaxing, calmness and tranquility. The mind-body connection has become an ultimate destination for people seeking inner peace as well as self-knowledge. The discipline in yoga is now advocated both by yoga teachers and medical doctors in the modern world.